Some accidents, by their very nature are serious and result in injuries so bad, they are defined at law as "catastrophic". Courts and the Insurance Companies do not focus much on how the accident happened, so long as it involved the use and operation of a motor vehicle. Instead, Courts and Insurance Companies want to know what the end result injuries are and how bad, or not bad those injuries are. If the end result injury from the car accident is catastrophic in nature, then the injured party's accident benefits will increase dramatically. Catastrophic injuries include traumatic brain injury, loss of limb, paraplegia, quadriplegia, spinal cord injury and other injuries which result in a 55% impairment pursuant to the AMA Guidelines. Qualifying for catastrophic impairment is very difficult. 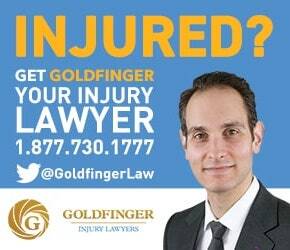 The vast majority of car accident cases in Ontario do NOT meet the definition of catastrophic. Insurance companies and accident victims can fight for years and years over whether or not the injuries meet the definition of catastrophic. an impairment that, in accordance with the American Medical Association's Guides to the Evaluation of Permanent Impairment, 4th edition, 1993, results in a class 4 impairment. If your injuries are found to be catastrophic, your accident benefits will increase dramatically. You will also be entitled to a case manager to organize and arrange the services being provided to you. You will likely need the additional benefits for on-going care and treatment given the catastrophic nature of your injuries.